The reason I chose obesity as a closing chapter to Hydrogen Medicine – Combining Hydrogen with Oxygen and CO2, is that the lessons learned in this book can be applied to this modern-day plague. Currently 2.1 billion people are overweight or obese with many of these people destined to get cancer and yet have cancer blamed on genes instead of real causes like nutritional deficiencies, toxicity, low oxygen, carbon dioxide levels and obesity. 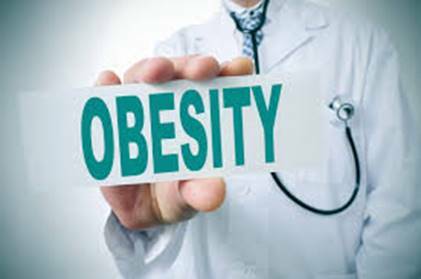 Obesity is positively associated with an increased risk of breast and prostate cancer as well many of cancer’s other forms. Obesity drives cancer progression and is estimated to account for 14% of all cancer deaths in men and 20% in women in the United States while approximately 6% of cancer deaths around the same period of time in Europe were attributed to obesity.According to a report on the global cancer burden, published in 2014, obesity is responsible for an estimated 500,000 cancer cases worldwide each year. Obesity is a visible demonstration of what is wrong with our bodies, civilization, with the agriculture industrial complex, with our diets, and state of physical, emotional, mental and even spiritual health. Obesity is a primary factor related to type 2 diabetes, hypertension, arthritis, gout, and menstrual abnormalities, it has also been linked to several other types of diseases such as atherosclerosis, cardiovascular disease, negative effects in the lipid profile of the blood, sleep apnea, osteoarthritis, complications in pregnancy and surgery, some cancers and gallbladder disease. The deposition of body fat in the abdominal area is more strongly related to the diseases previously said than the deposition of fat concentrated in the peripheral portion (legs). Obesity is an obvious cause of disease—it is a disease. However, that does not stop doctors from overlooking it like they do other basic causes of disease like low body temperature, acid low oxygen conditions, toxicity, key mineral deficiencies and stress. Obesity is not an easy health issue to face but it could be made easier if patients could trust the information they receive from the mainstream of medicine. Unfortunately they cannot. How can government think that they could get away with constantly scaring the public to get their flu shots? The answer is that the people in Western countries don’t know better because they have been deliberately misled since before they were born. We live in a world in which many people’s reality is a product of the propaganda fed to them by “news organizations” and Hollywood movies. Doctors could be helping people more, much more and that would start with addressing some of the basic issues that lead to obesity. Fort instance, the faster a person breathes the harder it is to lose weight or keep the weight off once it has been lost. But doctors do not even bother to monitor patients breathing rates, which determines much about our states of health or disease. It is not a medical secret that one of the basic reasons that people cannot lose weight or regain it quickly after finishing with a diet is there is not enough oxygen to burn because they are blowing off too much CO2 from the blood from breathing too quickly. Exercise of course leads to intense CO2 production that leads to increased oxygen metabolism and weight loss. The main point is that getting a handle on the three primary gases will help obese patients. 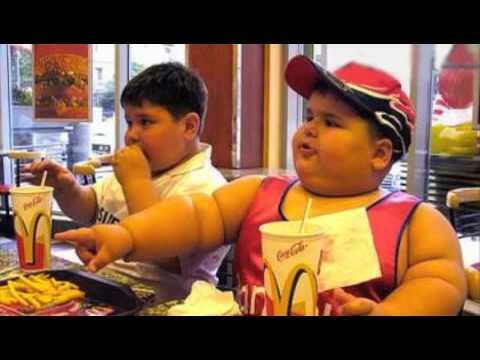 A new study from the CDC reveals that 36.6% of American adults consume fast food every day. Fast food consumption is associated with increased intake of calories, fat, and sodium. According to the Credit Suisse Research Institute’s 2013 study, “Sugar: Consumption at a Crossroads,” as much as 40 percent of US healthcare expenditures are for diseases directly related to the overconsumption of sugar. The fact that sugar and obesity are linked to an increased risk of cancer is now becoming well-recognized. Sugar and inflammation lead to low oxygen conditions. Moderate carbohydrate restriction can reduce markers of chronic inflammation. According to researchers at the University of California, San Francisco, sugar poses a health risk—contributing to around 35 million deaths globally each year. Researchers at Huntsman Cancer Institute in Utah were one of the first to discover that sugar “feeds” tumors. Since sugar is not our ideal fuel, it burns dirty. Cancer loves sugar more than we do. Unfortunately, most doctors do not warn their patients about sugar. Your body-mass index, or BMI, represents your height and weight. It’s your obesity level. “As your weight increases, so does your resting heart rate — which makes sense, of course, because there’s more tissue to support, and the heart needs to work harder,” notes Emir-Farinas. Reducing muscle mass and increasing adipose tissue is associated with a higher risk of morbidity and early mortality, this is a common situation when we stop exercising, have a poor eating habits or simply get older. 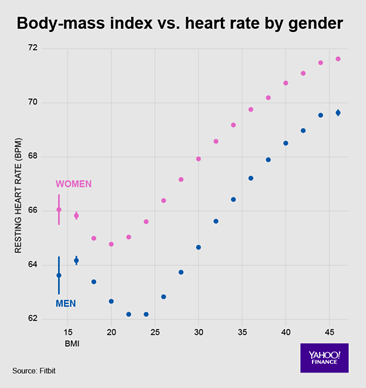 In an epidemiological study, 588,369 women and 457,785 American men over 30 years of age evaluated the relationship between body mass index (BMI) and the results showed significant increase in the risk of death from cardiovascular disease. Speaking of fat loss, there are 4 important life habits interlinked, which are physical exercise, eating, breathing patterns and sleep. Failure in any one of these habits will be compromising to health and fat burning. Speaking of sleep, studies show that the poor-quality sleep increases the risk of developing obesity and other chronic non-communicable diseases; also has influence on eating habits by increasing the vulnerability of overeating with poor diet. Sleep disorders are related to increased cortisol with increased intra-abdominal adipose tissue, as well as low levels of serotonin, which may lead to increased consumption of simple carbohydrates in order to stimulate serotonin secretion. COELHO, C. F.; BURINI, R. C. Atividade física para prevenção e tratamento das doenças crônicas não transmissíveis e da incapacidade funcional. Revista de Nutrição. Campinas, 22(6):937-946, nov/dez., 2009.